Are You Able To Hold Fermented Wine Or Will You Burst? At our schools, jobs and even sometimes among our friends, our value is based on our performance. Sometimes, and unfortunately most times, people “love us” based on how much we love them. How much love we can give them back for their love for us. It is sort of like an exchange…”Well, you give me and I give you.” You see, the problem with that is that our value and the view of ourselves is constantly changing and sometimes not for the better. The moment we fail some people, their “love” for us diminishes temporarily or permanently. Same happens with our jobs/schools, the moment we perform poorly our grades or professional reviews suffer. 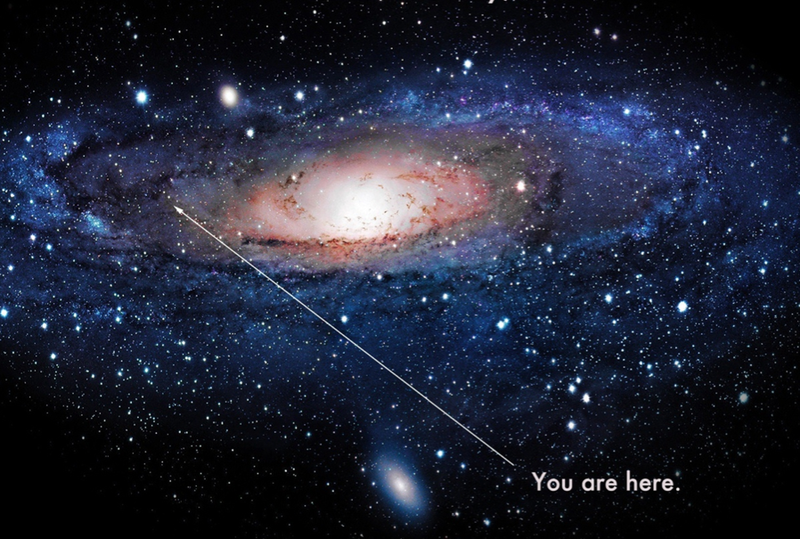 God’s love for each tiny speckle of humans that we are (pictured in microscopic perspective). There you have it. That love is hard to grasp when seen from that angle. How could such a big God care about such a little human? Well, He does. And it is eternal love not based on what you do in church or outside of church. This is really important to know when our lives are at a low because it prevents us from ever doubting God’s love for us. It also gives us humility, knowing that nothing that we do “for Him” could make us more important than others in His eyes. It brings us to be grateful and thankful for His grace. Realizing His unchangeable love for us, we draw to him in repentance, knowing that our loving Father will discipline us and help us grow in our areas of weakness. When we don’t grasp the love that Romans 8 talks about, we run away from Him in guilt and in the arms of evil. Also, in the contrary, when we do “a lot” for Him, at times we become religious instead of having an attitude of humbleness and true devotion. [See Luke 14:11 & Proverbs 29:23] That’s a terrible state to be in as well. When we don’t understand God’s love for us, we are very ungrateful and we think that we can win His love by doing “good” works. We live a false “I am religious on Sundays” life. That is not where God wants us to be. Our bad habits and perhaps “religious practices” no longer matter here. When we go to church and keep falling into the life of sin when we walk out of church, we are much like old wine skins. It is by routine that we go, to just quiet our conscious. But God calls us to a deeper devotion and a healthy response to life that requires spontaneity and fitness to the circumstances. There is an interesting mention of the wine making process in Mark 2:18-22, which talks about the contrast of new & old wine skins. 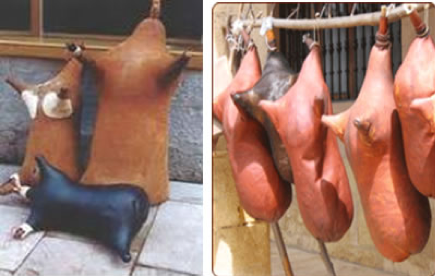 Wine skins are passed through a process of washing, scraping, turning and cleansing. New wine skins don’t burst when new wine is put in (pictured below). The problem with putting “new” wine into old skins is that the process of fermentation would produce enough CO2 to burst the old skin. If you need to make fermented wine, you would have to get a new skin. Character development is not easy. It takes time. There are things in us that need work. A superficial “Christian” living and bad habits can’t carry on God’s purpose for our lives. We need to be sincere in our devotion to God. Old wine skins can only hold water or milk. They cannot hold wine because they burst. Do you want to live a superficial “Sunday goer” Christian life? Or would you rather surrender your life to Him and devote yourself to following Christ in sincere purity? Don’t hold back God’s purpose for your life. Don’t be an old wine skin that only holds water or milk. Be more than that. Surrender control to Him. Surrender your fears, bad habits or addictions, attitudes, stress & worries. Be honest with God live King David was (Psalm 51). Don’t try to live a religious life and think that you’re “OK”. Ask God to make you into a new wine skin. He has great plans for your life (Jeremiah 29:11), allow Him to use you and give you a purpose. We were not meant to be void, empty and helpless. We were born to live a life of devotion to Him and to share sincere love for others. Tired of religion? Feeling hungry for a bigger life purpose? Try Jesus. Ask Him to show you how to live a life of freedom. Just like new wine skins purposely hold new fermented wine, you can also live for God’s purpose in true devotion to Him.